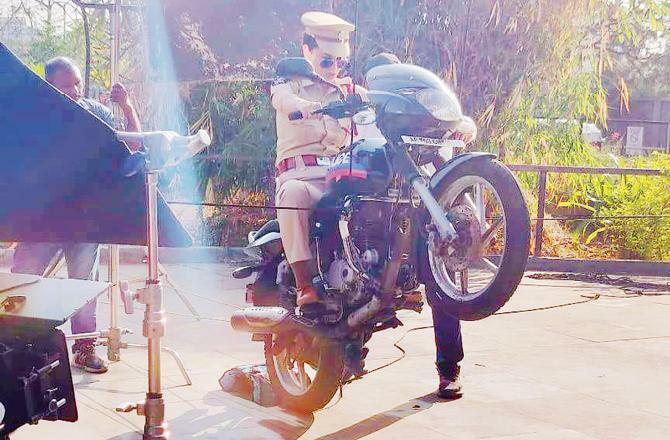 New Delhi (India), Mar 29 (ANI): Dressed as a cop on a bike, 'Manikarnika' star Kangana Ranaut was spotted shooting for next out-of-the-box 'Mental Hai Kya'. New Delhi [India], Mar 14 (ANI): Aamir Khan, during an interactive session with media on Thursday, reacted on Kangana Ranaut's accusation that Aamir did not support her recent release ‘Manikarnika: The Queen of Jhansi.’"
New Delhi [India], Feb 14 (ANI): Bollywood powerhouse Kangana Ranaut is soon going to bring her own life story to the silver screen, which will be directed by the actor herself. 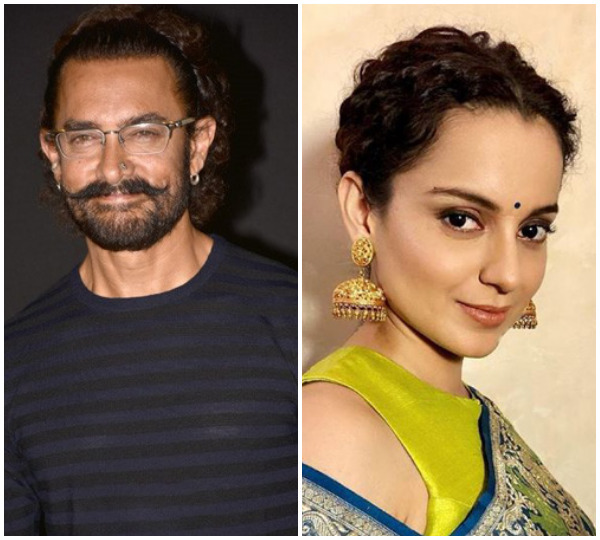 Mumbai [Maharashtra], Feb 8 (ANI): Actress Kangana Ranaut hit out at the Hindi film industry for not supporting her recently-released film ‘Manikarnika’ and alleged that the industry was ganging up against her for daring to raise the issue of nepotism. New Delhi [India], Jan 30 (ANI): Kangana Ranaut’s ‘Manikarnika: The Queen of Jhansi’ has crossed its first benchmark--50 crore mark after five days of its run at the box office. New Delhi [India], Jan 28 (ANI): Kangana Ranaut has yet again proved that she is indeed the ‘Queen’ of the box office with her recent release ‘Manikarnika: The Queen of Jhansi’ faring well in its first weekend. New Delhi [India], Jan 27 (ANI): Kangana Ranaut's 'Manikarnika: The Queen of Jhansi' and Nawazuddin Siddiqui's 'Thackeray' both fared well at the box office after days. Mumbai (Maharashtra) [India], Jan 18 (ANI): The Karni Sena on Saturday warned 'Manikarnika' Kangana Ranaut that if she continues to voice dissent against the outfit, they would ruin her career prospects and burn her film sets. New Delhi [India], Jan 19 (ANI): The makers of Kangana Ranaut-starrer 'Manikarnika: The Queen of Jhansi' on Friday held a special screening of the forthcoming film for President Ram Nath Kovind at the Rashtrapati Bhavan Cultural Centre here. New Delhi [India], Jan 17 (ANI): Kangana Ranaut's upcoming film 'Manikarnika: The Queen of Jhansi' will be screened for President Ram Nath Kovind on Friday here.